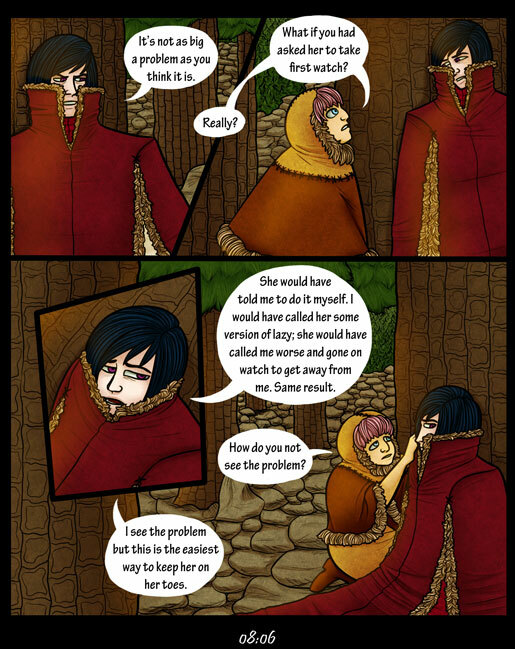 Enya started the conversation expecting that she’d need to sternly set Adrik straight but quickly realized that a heart to heart might be more effective since Adrik is actually aware that he’s a problem. There’s certain concepts that Demis, in general, are incapable of grasping and no amount of good intentions can cover that up. Luckily, Enya is pretty quick at picking up on when she’s run into a conceptual road block and steering around it. Although, sometimes she runs into the roadblock without realizing it. She would have been much more successful in getting Adrik and Fae to get along if she actually understood grief.